Nature Theatre of Oblivia goes to US! The second week of our US tour is starting. We just arrived to Chicago to perform in In-Time performance festival at the end of the week. The previous one we spent in the amazing city of Detroit and turned the space of Light Box into a forest, the first version outside of the walls of a black box stage. This has been such an experience! We came together for this project with Marc Melià for the first time in the autumn 2015 and we are super happy to be able to continue to share it with new audiences. This January and February we showed it in few very special venues, in the planetarium of the Lieu Multiple in Poitiers and in the ancient priory, Prieuré St.Cosme in La Riche. At the moment we are working to integrate some new visual elements in the show, so keep an eye for the new dates on Murailles Music. How to work with kids with as flat hierarchy as possible? How to create a performance where kids and adults can have an equal responsibility on stage? These questions have been on the table while working on the project Children and Other Radicals, a production of the performance group Oblivia, The thematic of this process was to use art to look at money and economic structures. 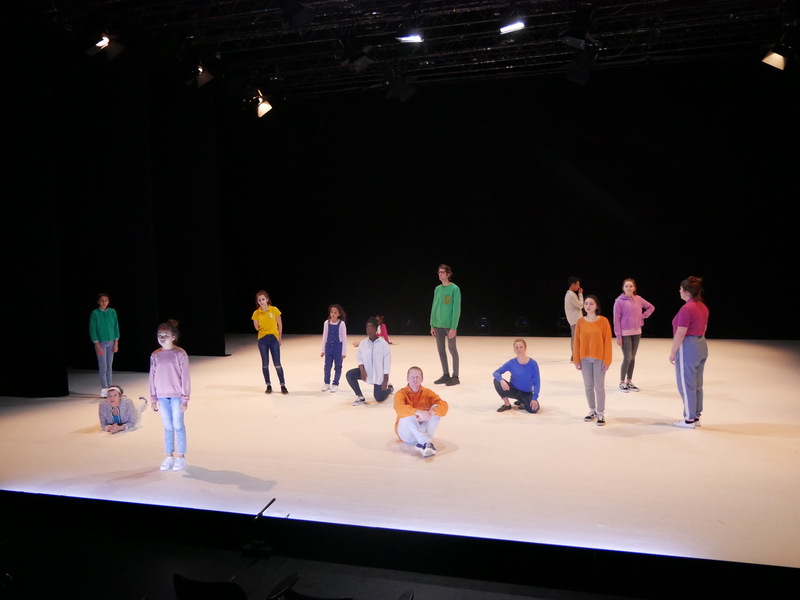 The piece premiered the 24th of May 2018 at Dangerous Minds Festival in Kampnagel, Hamburg, and was performed as well in Helsinki Festival in August with five Finnish kids. In the autumn we worked with a new group, nine Germany based kids and premiered the second part the 15th of Dec in PACT Zollverein, Essen. Catch us next year in FFT Düsseldorf the 18th and 19th of January! 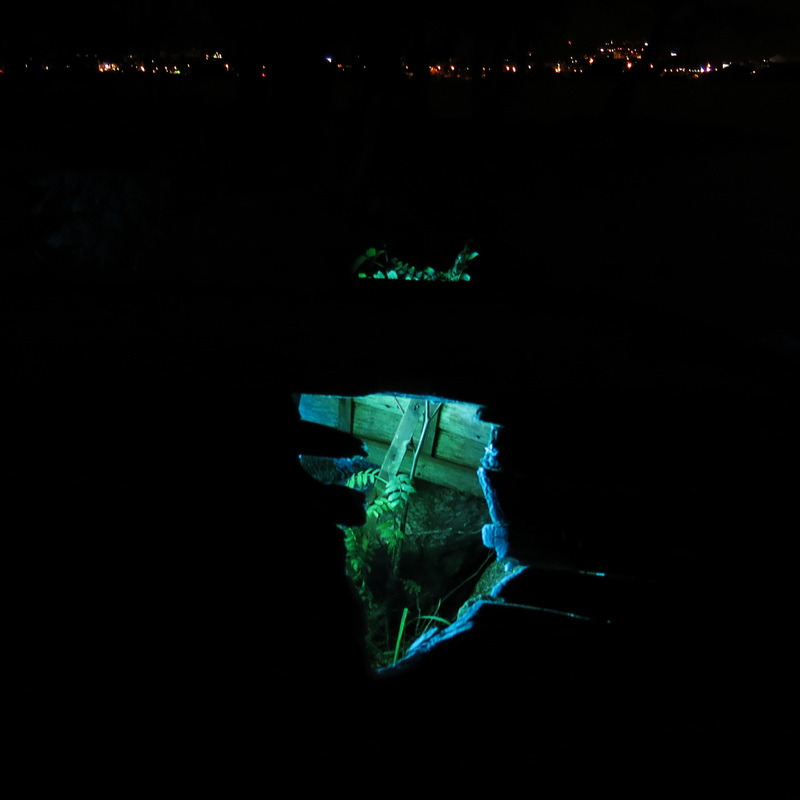 Blaue Frau’s new production Rädslomässa is now open for visitors to become aware of and to deal with their fears! Alongside the convention area that we have designed together with the other convention organisers I’ve developed one of the convention activities called The Unknown Station, a room with no light. 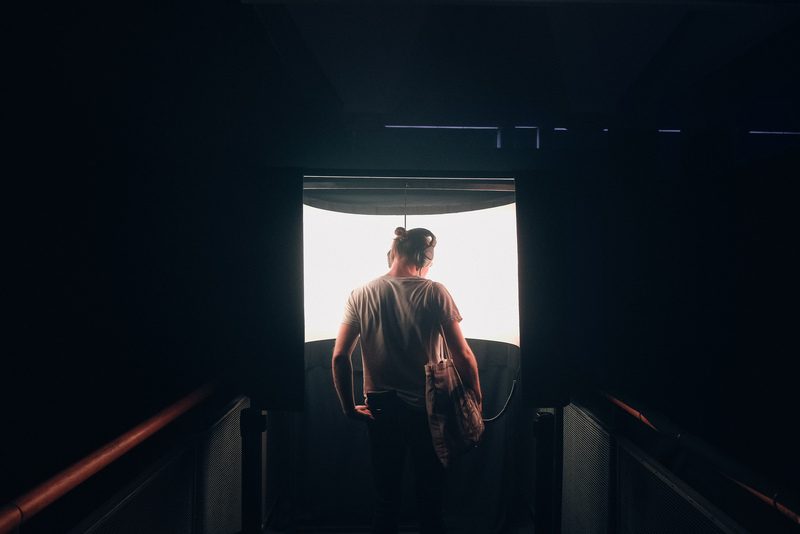 There you are invited to enter in a completely dark space where you can encounter the thoughts that your imagination projects to inhabit in the darkness. A light festival concept Reflektor originally based in Denmark is landing in Finland this weekend. The idea of the festival is to take over a little known remote area in close distance of city center where visitors can experience the light installations in the midst of the nature. In Helsinki the festival is set in the beautiful surroundings of Kivinokka. I have the pleasure to be part of it and to bring an usually invisible place in life with light! In between holidays I spent one week in a residency in Regional Dance Centre of Eastern Finland ITAK with Sonja Jokiniemi, Inka-Leea Hakkarainen and Ville Nylén working on a upcoming piece that will be premiering at the end of the year. It was an inspiring and productive week including some first tryouts with lights. It feels very nice to have this chance to get into practice already in the early phase of the process. Sensorial Activities 1 was shown last weekend in Flow Festival, in Helsinki. Besides the extensive musical line up the festival had put effort to gather a wide variety of different art forms to display. Sensorial Activities 1 was part of The Other Light light art exhibition curated by Sun Effects. During the three festival days 84,000 attendees dropped by to enjoy the unique atmosphere of the festival. There is a proof that at least one of them found the way to the installation as well! Classical music festival Musiq’3 was organised last weekend in Brussels. Helsinki Chamber Choir was invited to perform in the chapel of Abbaye de la Cambre. I was in charge to prepare the lighting for this magnificent venue. Here’s few impressions from far trying to capture the magical atmosphere during the beautiful choral pieces of Einojuhani Rautavaara, Carlo Gesualdo and Claudio Ambrosini. Sensorial Activities 1 coming up! The opening of Oksasenkatu 11 is approaching! 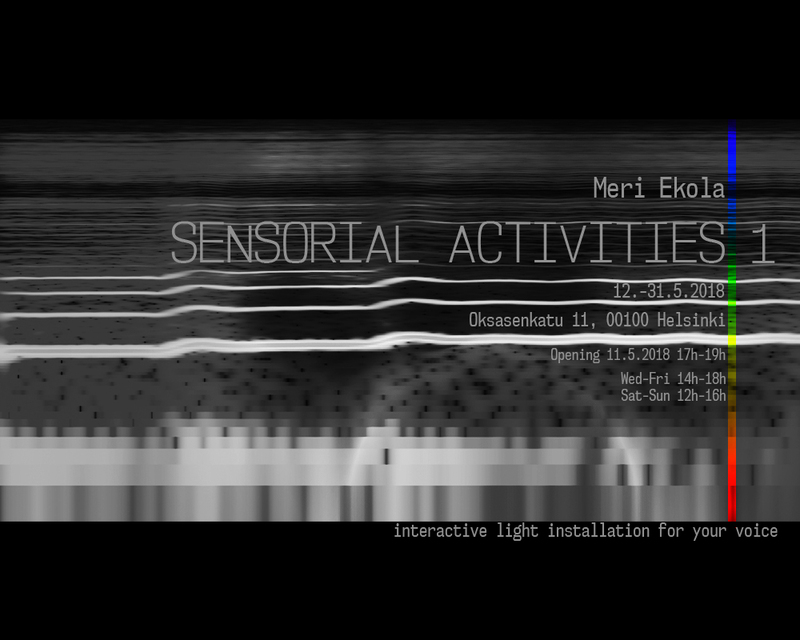 I’m showing a new installation Sensorial Activities 1 which is an interactive installation that bonds the senses of sight and hearing into a single experience. Chromesthesia, a sensorial ability in which heard sounds evoke an experience of colour, acts as the inspiration of the piece. It’s also a work that each visitor shape with their interaction, It’s more like an ongoing action happening and triggered by the people, activity that is to be proceeded and observed, not anything self-standing object or entity in display. I’m very exited how everything will turn out and how people receive this kind of work in a gallery context! Personally, it has been very enriching to be so straight forward face to face with my own voice. During the testing sessions where specially the sound features are tuned I have been listening my voice consciously maybe more than ever before in my life. I’m surprised how varied my voice is and how well I can entertain myself with it since my previous relation with my voice is almost neglecting, I have been mainly shamed of my non-existing singing skills all of my life. Now I even enjoyed using my voice differently than just talking! That was a nice step to take. Looking forward what kind of thoughts the work brings up in others’ minds. Last week we spent touring with Blaue Frau’s performance 35 x me and some actresses in Iceland, first in Rósenborg, Akureyri and then in Tjarnarbió, Reykjavík. You can get into the mood of the show through these shots! The educational workshop held by our lovely actresses will return in autumn when we’ll be touring in Sweden, find the dates and venues here. The sound and light installation Cycles will be presented 9.-11.3.2018 in an exhibition of interactive and sound art in Madrid. 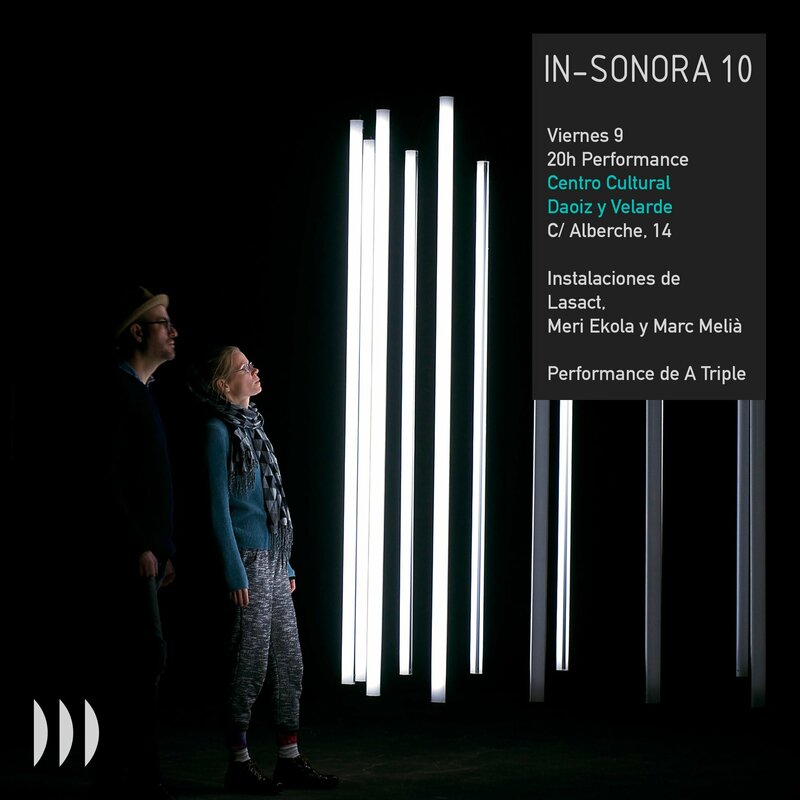 The exhibition continues until 25th of March in various locations, check out the full program of IN-SONORA10! How to do your own soft box? Inspired by some pretty inventive and fun looking youtube tutorials I decided to try my own version of DIY studio lighting fixture. 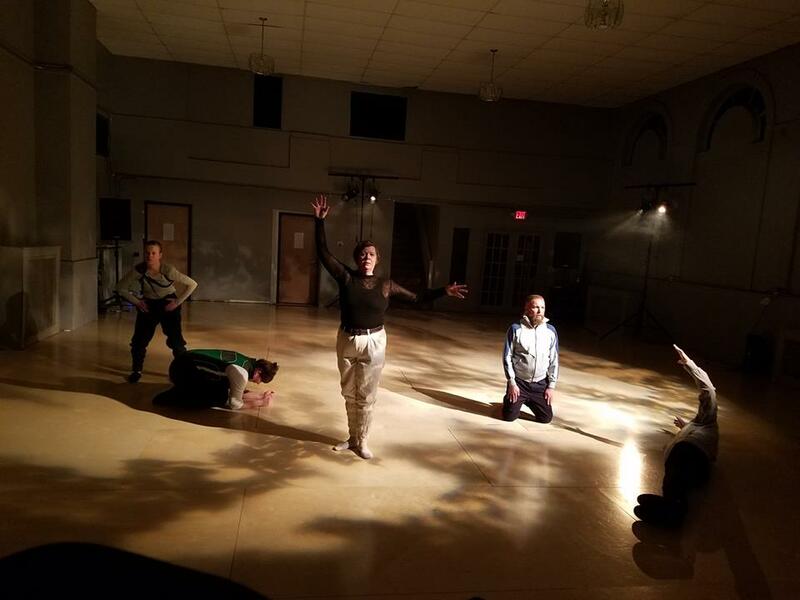 At the same time it’s a first glance to the workshop station of Blaue Frau’s next performance 35 jag ooh några skådespelare premiering the 16th of February in Helsinki Lilla Teatern. It’s going to be interactive! On Friday there was an event in Area 42 in Brussels were 9 artists were presenting the fruits of a residency work period they did in the same location last summer. We were showing our installation The last drop makes the cup run over with Marc Melià for the first time. Making the work was time to time a nerve wrecking process, a simple thing turned out to be a much more complicated one as we peeked into the world of sensors as total newbies! For this reason even more happy about the result which stays very formal and minimal. I will be on tour with Niki, Micke and Steffe on November! Blaue Frau’s new dragking- show Yo-Bro is a hilarious reflection about the modern male roles and values of today’s society. Håll i hatten nu kör vi! Second edition of Fortune Festival was organised last weekend, the 1st and the 2nd of July, at BRASS – Centre Culturel de Forest in Brussels. Great line-up with Kero Kero Bonito, Kane West, Palmbomen II, Bad Gyal few to mention and amazing party! I enjoyed the evening behind the lighting desk! A Finnish forest is in the state of preparation at Theater Rampe in Stuttgart by Oblivia. 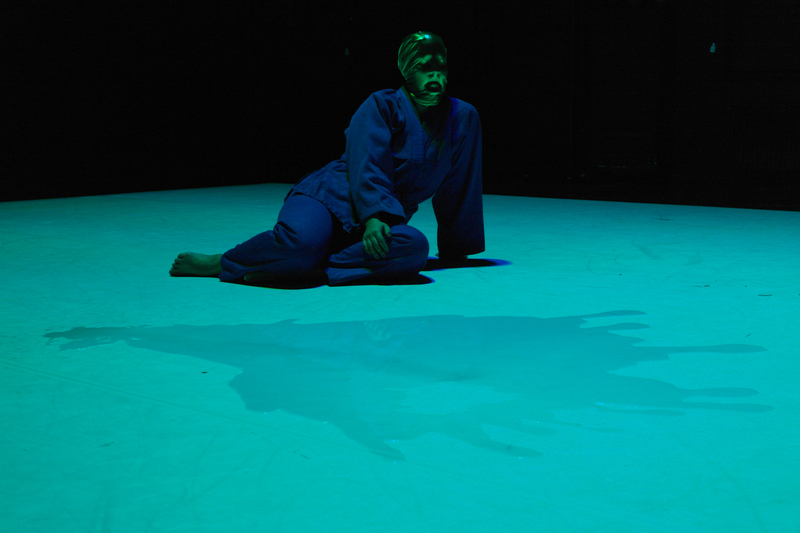 The challenge is as usual in Oblivia’s work to create it all on an empty stage. We are back to the black box setting and the performer is right on the spot. Or is it a tree? The forest can be visited from the 22nd till the 28th of June. OBJECT in Albertinkatu 16, 00120 Helsinki until 30th of May! 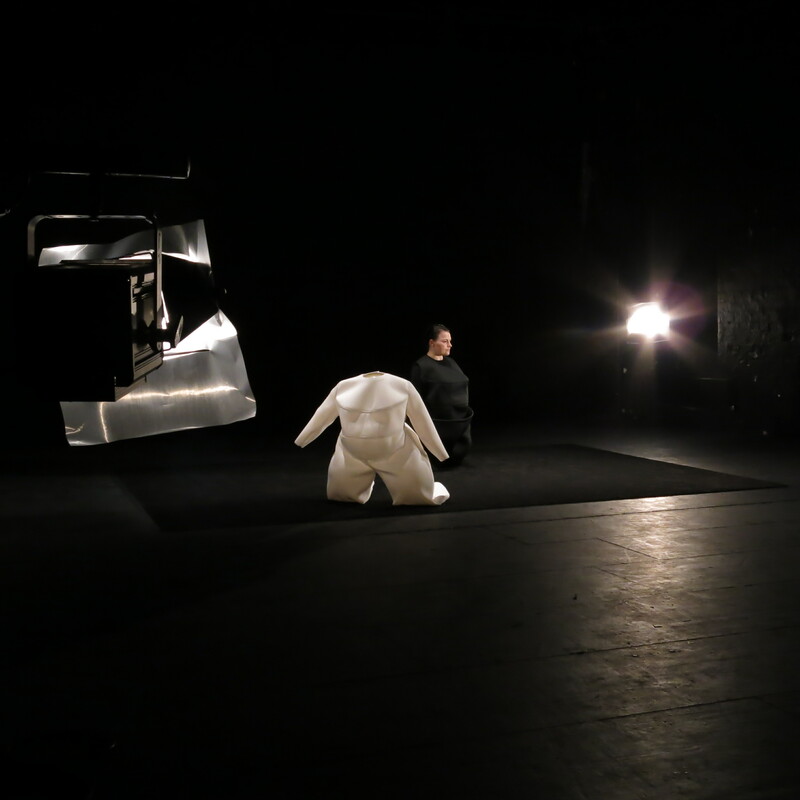 A Performance and Exhibition based on the perplexing question of objectivity and subjectivity. Visit the exhibition daytime and experience the performance in the evenings. More info from Blaue Frau! I made a small clip for Le Ton Mité song Indépendance, one of the 50 songs of newly released album Passé Compose Futur Conditionnel. The clip launches the album release tour that is organised in France on March. Lighting up Anna Krzystek’s video installation work that will be presented in Dance International Glasgow this spring. Shootings in Tramway Glasgow from 7th to 11th of February 2017. 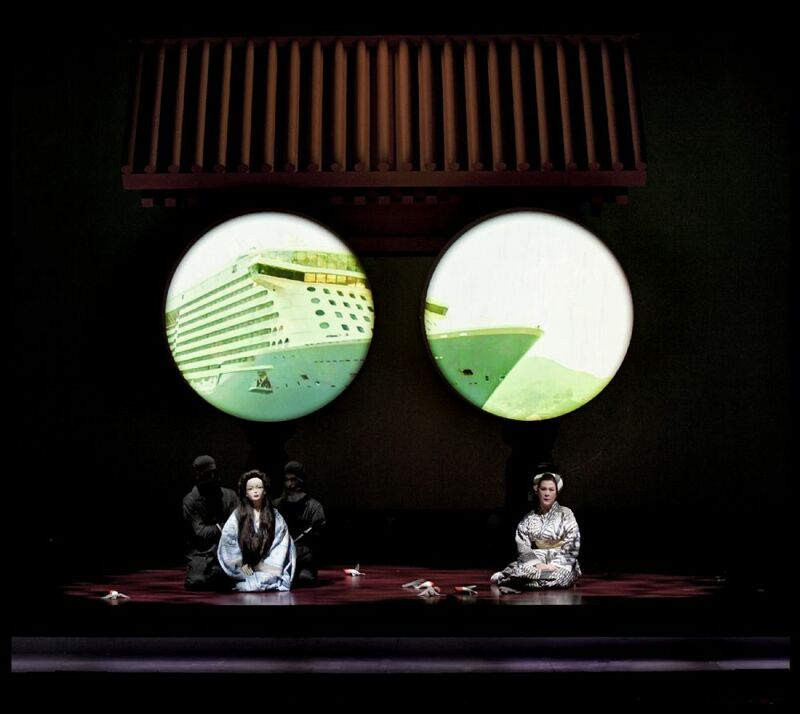 I created video for Madama Butterfly by Puccini, staged by Hotel Pro Forma at Opera de La Monnaie de Munt, performances took place 31.1-14.2.2017 in Brussels. We used BackTrax real-time motion tracking system together with d3 media server for tracking video content on moving set. Video was created during the process in collaboration with the artistic team.